In a food processor or blender, combine the nasturtium leaves, Dijon, vinegar and 1 tablespoon of water; puree until a paste forms. With the machine on, gradually add the oil; puree until thick and smooth. Scrape into a small bowl and season the emulsion with salt. Light a grill or preheat a grill pan. Brush the corn with melted butter and season with salt. Grill over high heat, turning occasionally, until lightly charred, about 5 minutes. 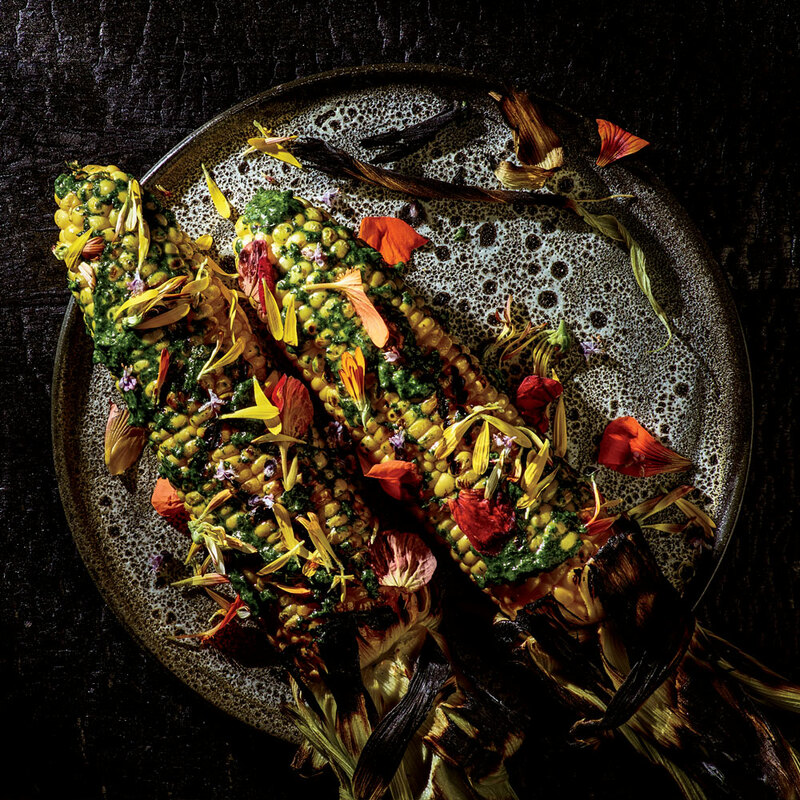 Spread the nasturtium emulsion on the corn and decorate with edible flowers and herb leaves. Serve.